You play as a highly trained SWAT soldier on missions to rescue hostages. 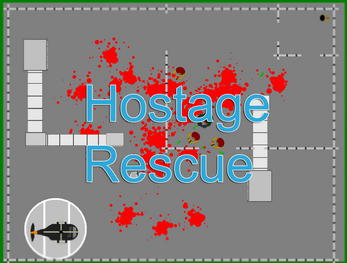 This is the first game I made and it still is in development but it has the core gameplay. It has 5 level( 1 boss level), basic tds mechanics, a menu screen and different difficulty levels of enemies. It can be challenging but rewarding when you do complete it. Enjoy!